The perfect computer DJ controller remains elusive. 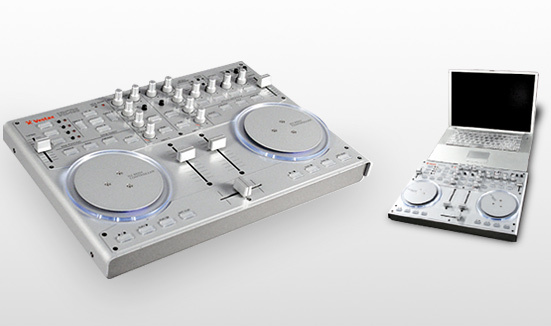 Serious turntablist DJs, of course, will want decks. But what if you’re scratching homebrew Reaktor instruments, or jogging through video for a VJ set (which, sorry, isn’t really subtle enough to require a full deck), or just adding scratch to a laptop set? The controller layout is a little unusual in that there’s a loop/sampler section at top left and generic “effects” controls at upper right. I’m guessing some folks will like that, and others won’t. Pricing, availability — no official word. Hopefully we’ll hear more at NAMM. I’d want to test it first, obviously, and I’d take reseller availability dates with a grain of salt, but that gives us a ballpark.